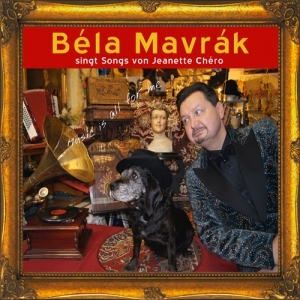 Music is Everything for Me Béla Mavrák sings songs by Jeanette Cheró Sometimes we ask ourselves – does everything happen by chance, or does the secret power of destiny influence – or even determine – our lives …? It was about 13 years ago – Béla Mavrák was performing an opera and operetta repertoire on the legendary cruise liner, the ZDF Traumschiff (TV Dream Ship), and Jeanette Cheró was simply one passenger out of many on the liner. After Béla's performance the two of them happened to begin talking to each other at the dessert buffet. It soon turned out that they had many things in common: both of them lived in Cologne, both were art-lovers, and they were both active musicians. Each of them had been in their own universe up until then. 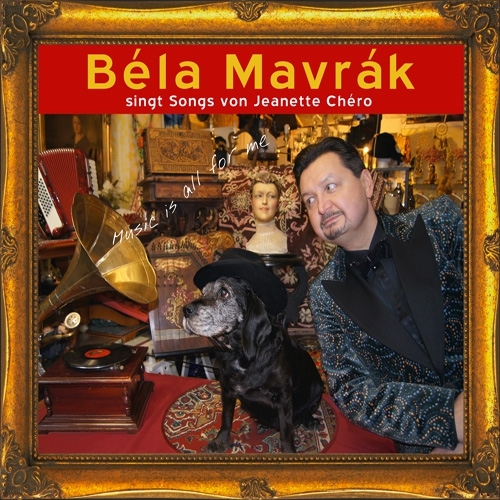 Béla Mavrák performed in opera houses and concert halls around the world; Jeanette Cheró's musical habitat, on the other hand, had for many years been German salons and cabaret stages, where she delighted audiences with brilliant performances as a pianist and performer of her own songs. The two of them talked about Jeanette's eventful life, and it was clear to them that Béla would do something with this fascinating artist – even if not until years later. During those years both of them traveled the world, as far as West Papua, one of the most remote corners of this beautiful planet.